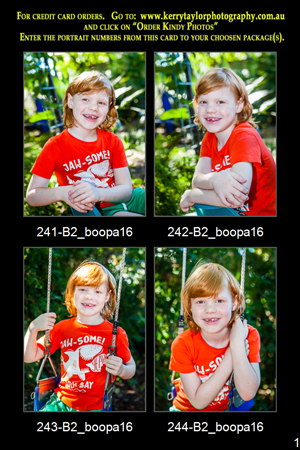 How to Order: You will need your Portrait Sample Card with your child's 4 proofs to complete your order online. You can collect this from your Centre after the photo day. All selected portraits will be edited (colour correction, lighting, contrast) & cropped according to the print size required for each package. Marks such as food/paint & dirt will be photoshopped from your child’s face. All orders will be delivered to Smithfield Village Early Learning on Wednesday the 12th of December. Prices are only valid during the Centre's ordering period and are subject to change after the closing date.